This product was added to our database on Thursday 27 September 2018. The first F-22A Raptor took to the skies on September 7, 1997. It is a stealthy, supercruising, sensor-fused master of the skies. Unlike the F-15 Eagle, the F-22 hasn'Â't been in an air-to-air shooting war. Some would argue that this is testament to its prowess; that others have chosen to remain on the ground, rather than risk tangling with a Raptor. Talk to any fighter pilot and you'Â'll soon realise that nothing comes close to a Raptor. 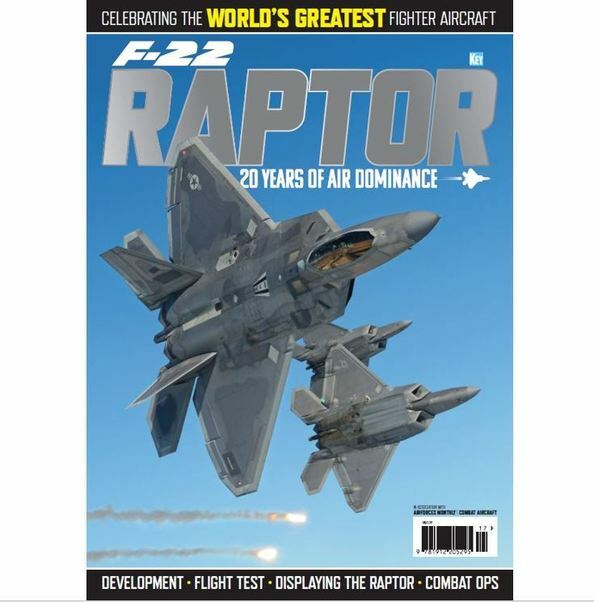 In this special publication, we mark 20 years since the first flight of this incredible fighter jet.